Geoengineering our way out of climate catastrophe is flavour of the month in certain quarters: mechanical trees, giant sunshades, artificial volcanoes, etc. Chris Rowan of Highly Allocthonous is not convinced about all this, and has an article about geoengineering at Seed Magazine explaining why. Related posts at Highly Allocthonous here and here. 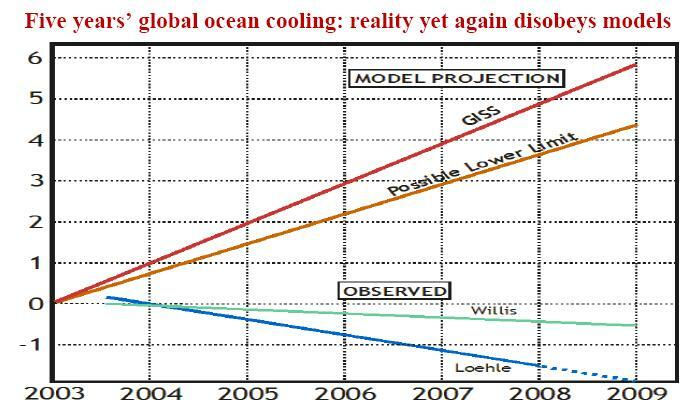 In short, the entire AGW Climate Change Scare is based on spin and lies. In reference to my previous posting I regard any discussion or attempt to geo engineering projects as a scam. It could happen today or any time in our life times. that is fact. what is a theory is climate change caused by man.is the=e evidence yes,is it all true well that is questionable. Not True: Ice extend at record high? What about the thickness of the ice? Did those large ice selfs which broke off and melted reform top to bottom? theroachman, if you can’t read a graph, please pay a visit to http://wattsupwiththat.com and search for “Wilkinson Ice Shelf”. Read the publications and wise up. I found out about the hoax simply by checking the facts. I asked a simple question. Has all the ice that was lost been replaced? It was a netural question. You need to get outside and see things for your self. Yes some place now have more snow, some are the same while others are much less. But that is the point and that is change. Our socity was built on things remaining static. There is a shift going on right now on this planet. Even Chance Metz has admited this fact. What we do about it, what it means for the world w need to figure it out. Unfortunatly some people only tote the line of the people who stand to lose the most. The large corporations who have become rich from cheap and dirty energy. I dare you to move down wind and river from the Houston oil refineries. Housing there is quite cheap. Just dont drink the water unless you think humans can have no long lasting impact on the only planet we can live on. There is nothig we need to do. Mother Earth is doing her thing. If we try to fix it all’s we will end up doing is messing thigns up even worse. And that Chance we agree. But we can fix our own ways. We have the power to change. But will we? I see little evedince that we will any time soon. Most of time we will quible about the data and far out silly tech solutions. The sooner we run out of cheap oil the better. That “dirty” oil supports our entire civilization. There is NO viable alternative at this moment in time to replace oil. Not only to fuel our transportation systems but also al the plastic products we use, our medicine, our firtelizers in short everything that has enabled our generation to have a long life and die old. Just look at a country where access to our dirty oil is limited. The average age of the people is under 35 years and they spend their time collecting wood and cow sht to boil their foods. If you might believe wind, solar and batteries will bring us the “Green Dream” future, please wake up to the reality of the day because they will not be able to replace carbon fuels by a long shot. The entire idea of dirty oil is based on CO2 emissions which are released when carbons are burned. Who ever believes that a trce gas, essential for life on this planet is a major climate driver needs treatment in a mental institution. And so do people who believe the world is a better place without fossil fuels. Please stop assuming you know what I am thinking and I that don’t know what the impact of oil has been to our society. Whether or not fossil fuel has made the world a better place is irrelevant to what we have done to ourselves and how we have polluted the planet. No matter what the cheap oil is going to run out. There is a fixed amount left and there is no way around the fact it is running out. But sure you keep extolling the benefits we have received and cast a blind eye to the future if it makes you feel better. If you want to make an analysis of what my thoughts are start with reading Jarad Diamond’s book Collapse: How Societies Choose to Fail or Succeed then move on to more crazy stuff such as The Long Emergency: Surviving the End of Oil, Climate Change, and Other Converging Catastrophes of the Twenty-First Century by James Howard Kunstler. Or you can take the easy road and stick to the financial Libertarian views of Gary North’s the dailyreckoning. And please if you think the cleaner air Mauna Loa is comparable or can be extrapolated and averaged to all of the earth to included the air breathed by living things in Singapore, Shanghai, London or LA is not going to convince anyone who lives in those polluted cities that there is not problem and CO2 levels are fine. we aren’t saying they are fine. what we are saying is that it is no as bad as some poel make it out to be, could the air be cleaner yes and it should be,does that mean that doing so will save the Earth,probalby not. >a major climate driver needs treatment in a mental institution. Actually anyone who disputes fundamental physics (including the well established science that CO2 is a radiatively important gas) really needs to learn physics, at least at first year university level. You are correct about the properties radiative properties of CO2. The problem is there that there is so little of it. Therefore the effects are very tiny. Water vapor is much more effective but difficult to tax. > You are correct about the properties radiative properties of CO2. > The problem is there that there is so little of it. > Therefore the effects are very tiny. Oh please. The only way you could believe this is if you are ignorant of the physics and the maths. Your mate Hans is apparently fairly ignorant of both. Speaking as someone who’s actually done lab and atmospheric CO2 spectroscopy I can assure you that 100 years of physics research is not wrong. You may as well reject the viral theory of disease or evolutionary theory of biology. Good luck with that. (apols to our blog host, this is very off-topic). Well show the porof then. No one can seem to do that other then he or they said. There is NO connection between CO2 levels and temperature. 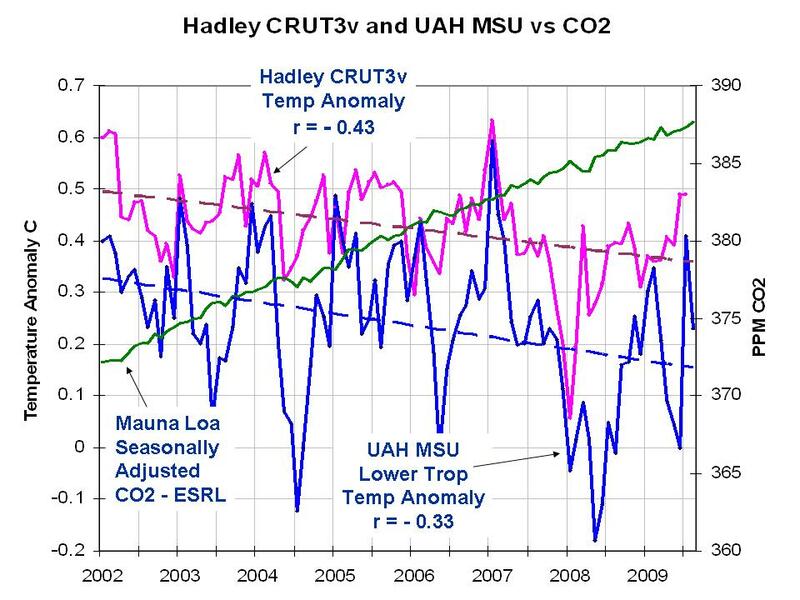 And with records I refer to the true records, not the Gore/Mann Hockeystick BS or the crooked models used by the IPCC. The AGW /climatechange doctrine is a political scheme, nothing more nothing less. Wake up, your freedom is at stake. If you persist in that brave conclusion that the physics is wrong you should be able to explain exactly which of the referenced papers is wrong, why, and be able to provide references to support your alternate theory. If there is “no connection” between CO2 and temperature then basically all of the theory of modern physics is wrong. Quantum mechanics etc. Have you really thought this through?